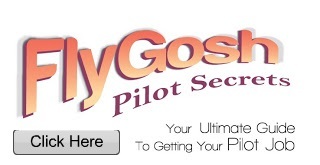 Is 2015 your year to land your Dream Job? We're hiring now for 2015 opportunities with Air New Zealand Cabin Crew. With new aircrafts arriving, internal growth and development and new destinations there has never been a better time to join us. We'll be holding recruitment events around the country in the month of November so apply now! We are looking for world-class Flight Attendants to showcase New Zealand to the world. As an Air New Zealand Flight Attendant you'll be a part of a dynamic team providing exceptional service to 13 million passengers a year. Successful candidates will be placed, depending on business needs, into one of our Cabin Crew Groups including: Mt Cook, Air Nelson, Shorthaul or Midhaul. Our Flight Attendants are passionate, proud and dedicated people who love the challenge of working in an industry where every second counts! No day is ever the same and it's a demanding role that will push you to perform at your best. You'll need proven experience working with people and a passion to go above and beyond for our customers. You will have a natural passion for people and a commitment to excellent service. Strong problem solving skills, teamwork and the ultimate Kiwi "can-do" attitude are the attributes required to keep Air New Zealand operating at world-class levels. We need resilient team players, with great personalities and a keen sense of humor to represent New Zealand with pride and passion. Being part of a 24/7 operation you will work rostered shifts, weekends and public holidays but the role offers an outstanding work/life balance and lifestyle. 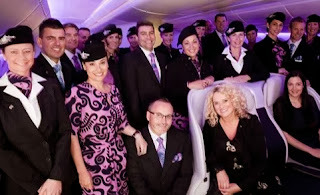 Air New Zealand is an award-winning employer offering innovative training and professional development, employee benefits, discounts and performance-related incentives. Our people love working here, we retain our people because they feel challenged, valued and proud of what we do. Your journey starts here. To be considered you must have Permanent Residency or Citizenship for New Zealand, A minimum of a restricted drivers licence, be a confident swimmer and have proven customer service experience. If you meet the criteria's above and would like to start your journey with Air New Zealand - Apply now!